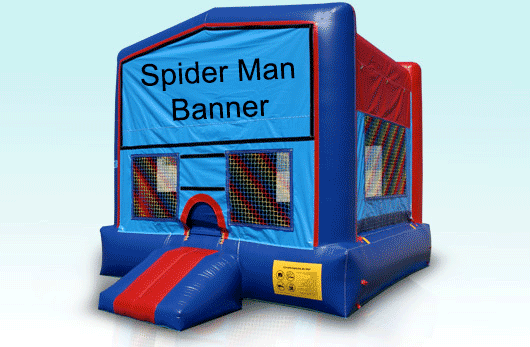 We can add any of our dozens of special themed banners, like the Spider-Man Banner, to this amazing one for all inflatable to make your party one of a kind and rather perfect! So book now! Online, anytime! Or call 505-792-6620.